Decontamination Map that does not include the Ocean. 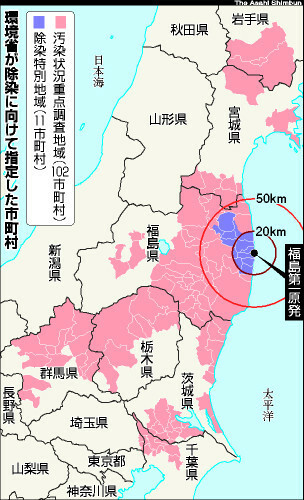 What is strange about this map is that decontamination area is divided clean on a prefectural border line as if there is an invisible wall. Nigata, for example, is where high quality rice is harvested every year and it seems that Nigata prefecture refuses to check for the radiation contamination level to protect their rice business.